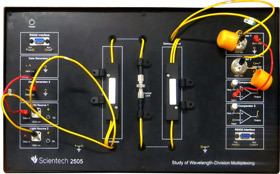 Scientech 2505 Advance Fiber Optics Lab is designed for understanding WDM technique and Chromatic Dispersion measurement. Wavelength-Division Multiplexing is a technology which simultaneously transmits multiple optical channels (wavelength) through a single fiber. 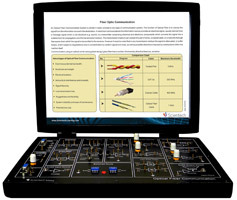 Today WDM technique is as much a part of optical networking as the fiber itself. 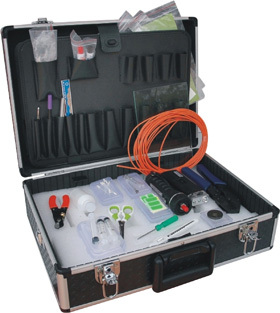 The application of WDM technology has spread over cable TV, optical networking, communication, EDFA and many other areas. 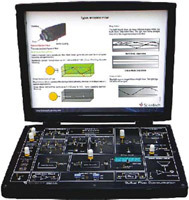 WDM is a simple and reliable technique which is free from effect of electromagnetic interference and capable of supporting broadband communications. It carries both analog and digital information over separate wavelengths. 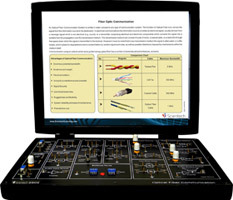 In WDM two or more channels are combined or split to ensure bi-directional communication over a single fiber. Chromatic Dispersion can also be measured using the same setup with optional fiber optic cable of 25Km. Scientech 2505, Advance Fiber Optics Lab is an ideal technial aid to enhance education, training, skills & development amongs our young minds.